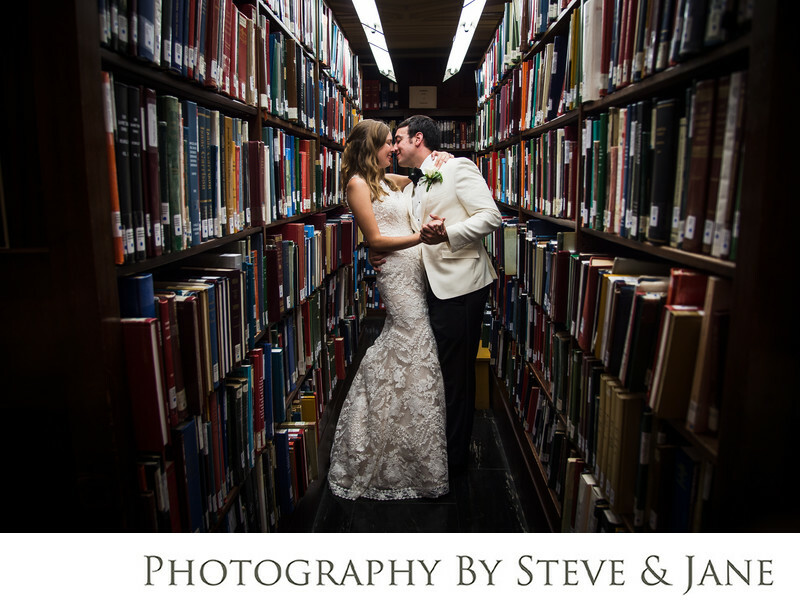 Her love for books brought this bride to choose the DAR Constitution Hall Library not far from the White House and the National Mall for their wedding reception. They stole off after their first dance for a quiet moment among the bookshelves. It resulted in this photograph, which won a Fearless Photographer Photo of the Day award in August of 2016. When you are hosting your nuptials at the Daughters of the Revolution Constitution Hall, you can chose from the outdoor portico with it's stately white pillars and views of the White House and the Washington Monument, the timeless O'Byrne Gallery, just off the portico, among the expansive collection of books in the DAR Library, or several other well appointed spaces located throughout the huge building that spans an entire city block of our nation's capital. There are many hotels close to DAR for your out of town guests. The Willard Intercontinental, The W, and The Hays Adams are just a few. Add in entertainment at The National Theatre, visits to the Smithsonian museums located on the mall and in Chinatown, and a myriad of award winning restaurants from chefs like Jose Andres and Wolfgang Puck, your friends and family will want to make an entire weekend visit while in the city to witness you vow your lives to each other. Ronald Reagan National Airport is conveniently located close by in Alexandria, Virginia. If you are inviting a lot of guests that require air travel, this airport is nearby and offers flights from many major airlines, such as Delta, American Airlines, and Frontier. Location: 1776 D St NW, Washington, DC 20006 .